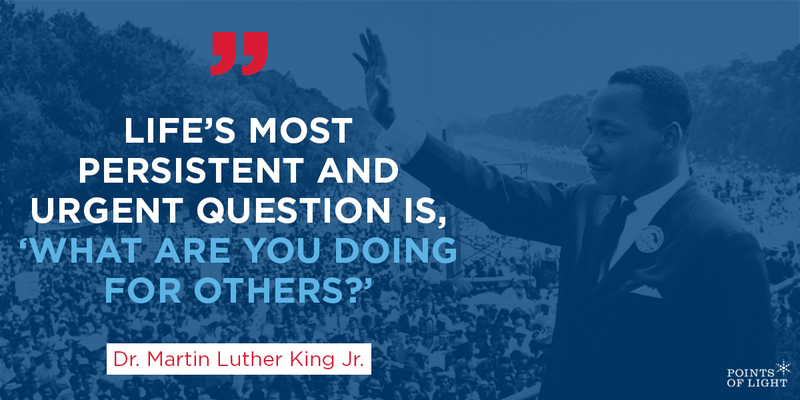 While many see Martin Luther King Jr. Day as a day off, we see it as a “day on.” It’s an opportunity to start your year in the spirit of volunteerism and service, continuing the legacy Dr. King, who spent his life working to better the lives of others. Just as Martin Luther King Jr. believed in service, so did Points of Light founder President George H. W. Bush. Once saying, “Any definition of a successful life must include serving others,” President Bush recognized the importance of this day when he signed the Martin Luther King Jr. Federal Holiday Commission Extension Act in 1989. In 1994, Congress passed the King Holiday and Service Act, designating MLK Day as a national day of service. Since then, each year on MLK Day, Points of Light calls together its community of changemakers to reflect on gains won during the Civil Rights Movement and to address contemporary issues facing our nation through act of volunteer service. Passion into Action Guide – turn your passion, that urge that makes you want to DO something, into action that will change your community. Economic Activity Toolkit – help your neighbors, friends and family members understand their credit with an economic opportunity service project. Family Friendly Projects – get your whole family involved with ideas from generationOn, Points of Light’s youth division. Inspired by Dr. King’s vision that people of diverse backgrounds would come together to discuss injustices of the day and create a plan for action, Sunday Suppers call people to engage in dialogue about issues affecting their communities. Conversations, a form of civic engagement, about pressing topics are important because they are often the starting point for change. To get you started, we offer a guide for starting conversations on the topic of financial insecurity in America. And when you pledge to host a Sunday Supper you’ll receive our exclusive facilitator guide, full of tips and recommendations for how to bring friends and neighbors together to share a meal and conversation. Learn more and get started. 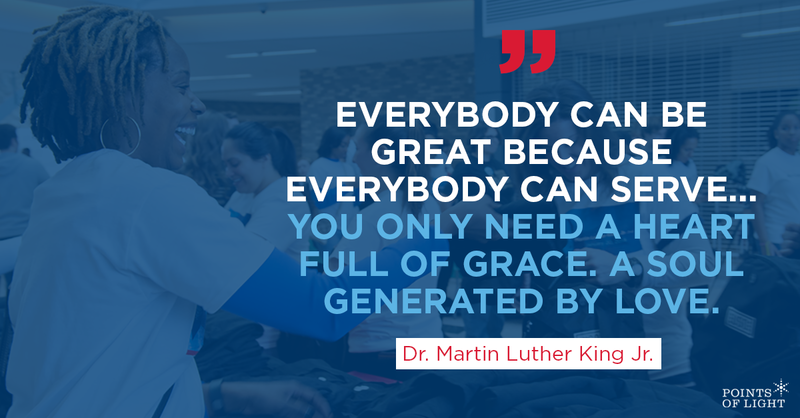 As the first national day of service in 2018, let MLK Day be your start to a year-long commitment to service. 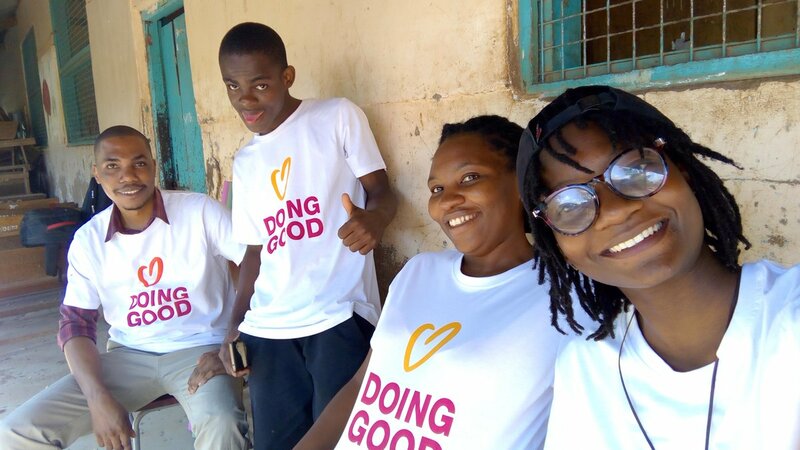 Leading a life of volunteerism has been shown to have benefits not only to the community, but also to the volunteer. And there are so many opportunities to get involved. This year marks the 50th anniversary of Dr. King’s death on April 4, 1968. In that light, this year’s MLK Day of Service presents a unique opportunity to reflect on Dr. King’s legacy and redouble our efforts to make his dream of a better world a reality. Join us on MLK Day to jumpstart a year of volunteerism and service to make our communities, and the world, a better place for all. This article was originally posted on Points of Light and appears here with permission.